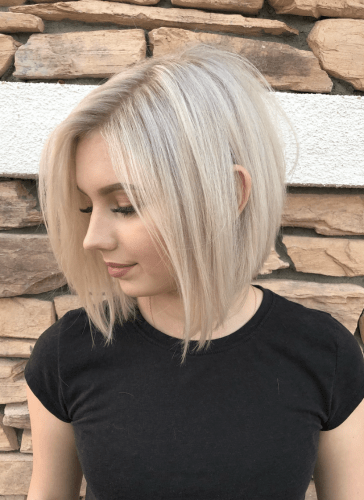 Bob haircuts are definitely on the rise, and they aren’t slowing down anytime soon. These low-maintenance haircuts are the perfect choice for ladies all over the world, as they are so easy to style and even easier to keep healthy. 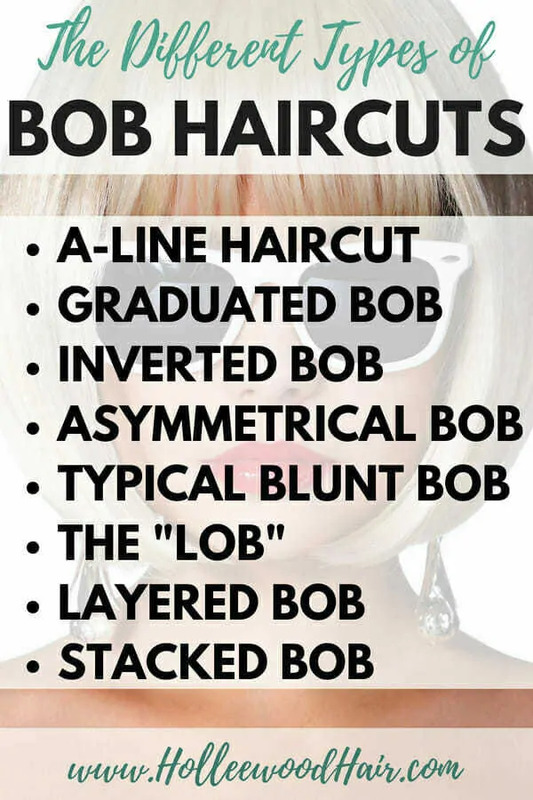 So with all the buzz about bobs, have you ever wondered what the difference between an A-line haircut and graduated bob is? Or any other types of bobs for that matter? I mean… they look pretty much the same right? Well, I assure you that there are differences and don’t worry, we’ll definitely cover them. The term ‘A-line bob’ generally refers to the perimeter of the haircut. It means that the hair is shorter in the back, and angles to a longer front. A true A-line haircut will not have layers or “stacking” in the back. It will also frame the face in the front and curl under the chin. The term 'A-line bob' generally refers to the perimeter of the haircut. It means that the hair is shorter in the back, and angles to a longer front. Just so you know, graduated bobs are pretty much the most common types of bobs I see right now. The back of a graduated bob can also be more curved (like a horseshoe) rather than a hard angle. The shape of the layers should follow the angle of the perimeter and get longer towards the front. The amount of stacking can vary. I have some customers that like a very low, blended stack and others that like their layers so short, they can spike them. The front of a graduated bob is typically a bit shorter, and less pointed than the front of an A-line haircut. An inverted bob is just another term for a graduated bob. The same haircut has different names in different places of the world. One of my favorite modern haircuts is the long inverted bob, a fun and trendy variation of the lob haircut. For a graduated/inverted bob to take on the proper shape, it needs to be cut and styled to flip under. One of the best ways to do this is with the use of a hot air brush. 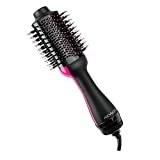 Hot air brushes are far less damaging on the hair than a flat iron. They style the hair by blowing hot air and not wedging it between two hot plates. You do the math. Photo Credit: Maria Rantanen under a Creative Commons Attribution-ShareAlike 2.0 Generic (CC BY-SA 2.0) license. 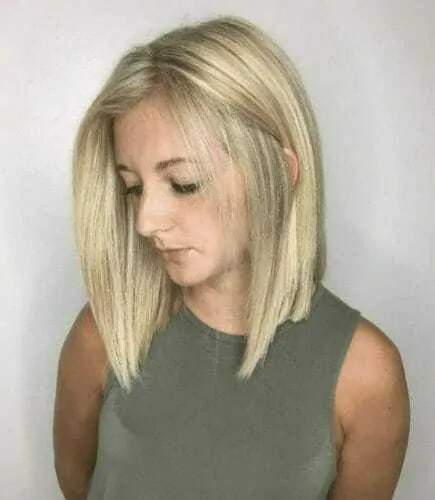 An asymmetrical bob haircut can be either non-layered or stacked in the back. 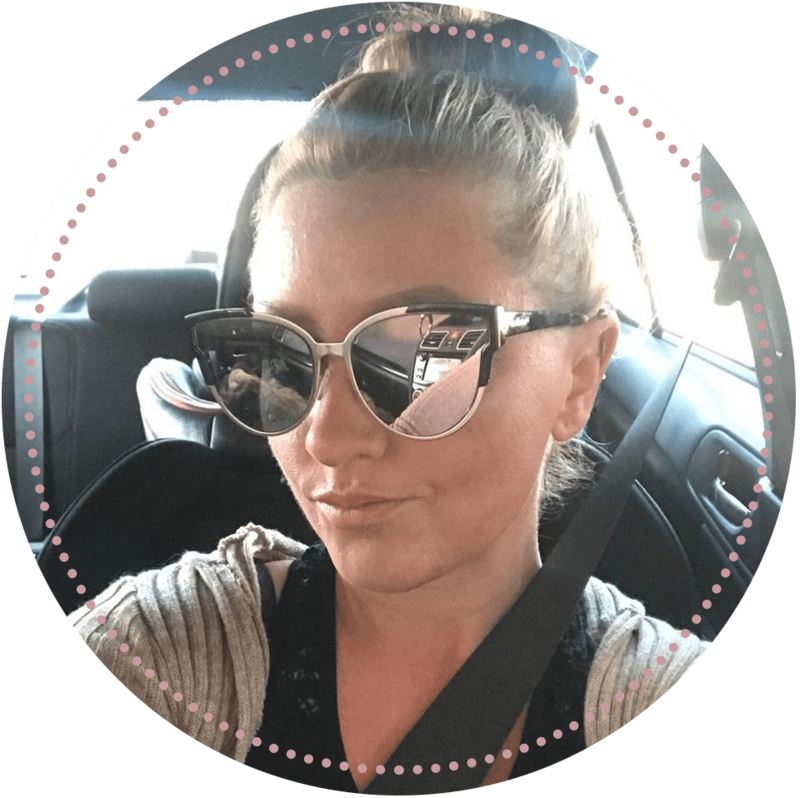 The only thing that really makes asymmetrical bobs different from the others is that one side in the front is longer than the other. In my opinion, this type of bob only looks good with a ton of texture. If not done right, they can look unfinished, unblended and not pretty. 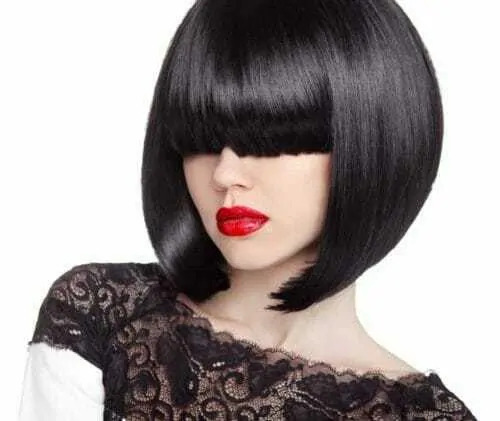 Unlike the other types of bobs, a typical standard bob (also known as a blunt bob or undercut bob) will be the same length all around the whole head, and it should slightly frame the face under the chin. There shouldn’t be layers with a typical bob, and it should be undercut all over. In other words, the underneath sections will be somewhat shorter than the sections on top, which makes your hair flip under on its own. A lob haircut is just a fancy way of saying “long bob,” and they have been a major hair trend of the past few years. In fact, I love them so much that I wrote a whole separate post about them. Check out “What is a Lob Haircut?” to read more. 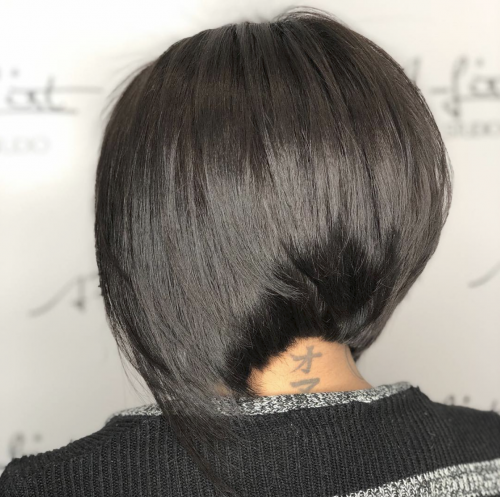 Last but not least, here is a layered bob, which could also be called a “textured bob.” It’s essentially the same thing as a standard bob, but with lots of layers, texture, and body. All the texture in these haircuts really gives them movement. Different angles can also be used in this style to create different looks. Bob haircuts are ultra-popular, and there are so many variations to choose from. Many people don’t realize what the difference is between an A-line haircut and graduated bob, but now you do. A-Line refers to the perimeter of the haircut, while a graduated bob adds stacked layers to the hairstyle. Standard bobs should just be cut to flip under, or you can transform them into layered bobs with the use of texture and layers. If you want to go for an edgier look, remember the oh-so-popular lob haircut or asymmetrical bob. P.s. Don’t forget to 👍🏼like HolleewoodHair on Facebook for more exclusive hair tips, beauty hacks and insight into the hair industry. Bobs are hard to maintain I’d go with a straight across bob on the longer side grazing your shoulders . keep the layers long if any. Mine keeps growing out and i have to get shape ups often im tryin to grow out the layers now and went for a trim and they layered it all up again. I am mad. I m a guy who loves fem haircuts. 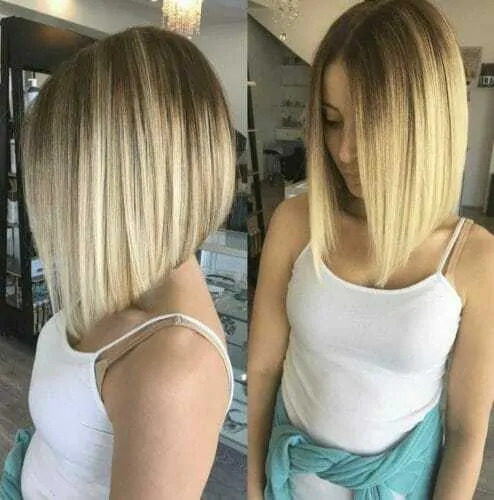 Looking for a fem stacked graduated bob. The more fem the better. Yes, I believe they are the same. I luv the undercut bob. Every time I go to the stylist, she wants to give me a “stack” because “it is more modern”. I think the truth of the matter is an undercut bob requires skilled precision, which not all stylists have. Aren’t asymmetrical and inverted bob haircuts similar? However, for those that can, short hair is stunning. is all about using what God gave us. Would a layered Bob look right on someone with slightly curly/wavy hair? My hair is dry and so I put oil in it to help with the frizz. But soon I’ll be having surgery and will be layed up for two months and would like something that won’t be too difficult to handle. Nobody knows what i mean either! They all waot to cut it too short on top and bangs too short, and endr up like an old women’s cut. I have the same problem! I recently moved and have had three awful hair cuts in a row. None of them know how to do any type of bob cut, apparently. But they SAY they do. Don’t they teach that in beauty school??? 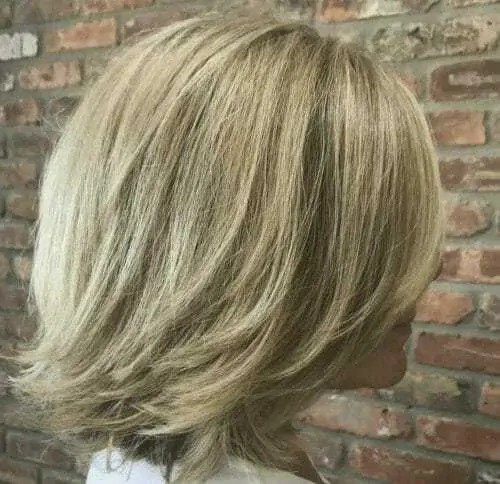 The best graduated bob that was stacked for me was my old stylist that moved away from the area. Now trying to find another who I like. Got mine cut 2xs now. I will be going to another lady and making sure I tell her graduated bob. Thank you for explaining this so well. I have always known what I wanted and have tried to explain it to the gal who cuts my hair and it comes out wrong. So now I am trying to grow my hair out again and know exactly what to ask for next time! You should just bring a picture of what you want. You can pretty much find anything on Pintrist. I find bringing a picture works better than trying to describe what you want. It is too easy to be misunderstood. Hope this helps! Thankyou so much for the information. 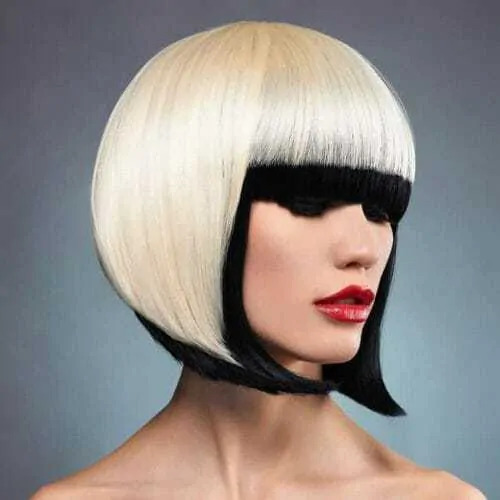 Last time I told my hairdresser for A-bob(angled bob) .he just messed up and ended up giving me assymetrical one.you are right, it does looks ugly.this time I am going to make him read this article ? Why is the inverted bob referred to as inverted? It doesn’t all go forward, so why called Inverted? Sorry to say there are hairdressers out there that do not know the difference between a stack, graduation and the original A line. You did a great job of describing the difference. I SO AGREE! I want to get my hair cut like Miss Fisher in Miss Fisher Mysteries, and I don’t know how to describe it. I’m searching for photos on the web so I can tell them what I want. I have long hair and want to get it right the first time – PLUS I have curly hair (easily straightens though). So this article was very timely! what is the name of the haircut with with short hair on one side and long hair on the other side? What’s a filled Bob then? I have never heard that term! I would imagine “filled” means the same thing as stacked… Maybe? Filled would mean a bob that is non-layered or solid. Thank you so much, i love this hair style and I’ve had it before but last time this chick had no idea what i wanted. I explained long in front, stacked in the back. 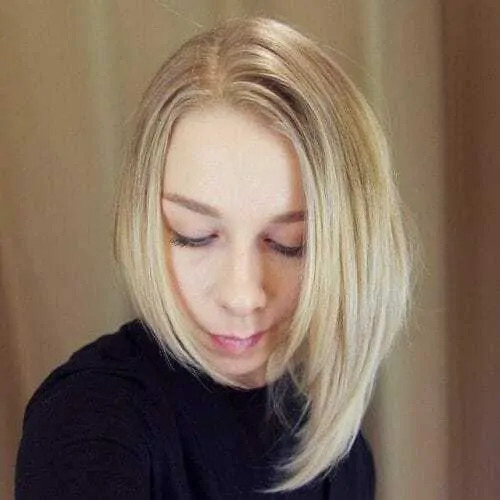 I ended up with the stack in the back and butched in the front, shorter than chin length, so i have not had my hair cut since but now that I have this info I am going for it again! Thanks again. what is the name of the shorter haircut where it is shaped into a “V” at back and goes into a point at sides? What’s difference between layered and stacked? That is a really good question! Stacked basically means layered but they are really short layers that are shaped with the haircut so they “stack up” higher. The more stacked the layers are, the higher up they will go. Thank you SO Much!!! for explaining this so clearly … my hair stylists were running circles around me and now (with your clear explanation), I know what to tell them to do/and what not to do! Thank you!! !